Here's a 3D uterus sculpted in embroidery floss in a wee 3 inch hoop. Makes a great Christmas ornament, or wall hanging! 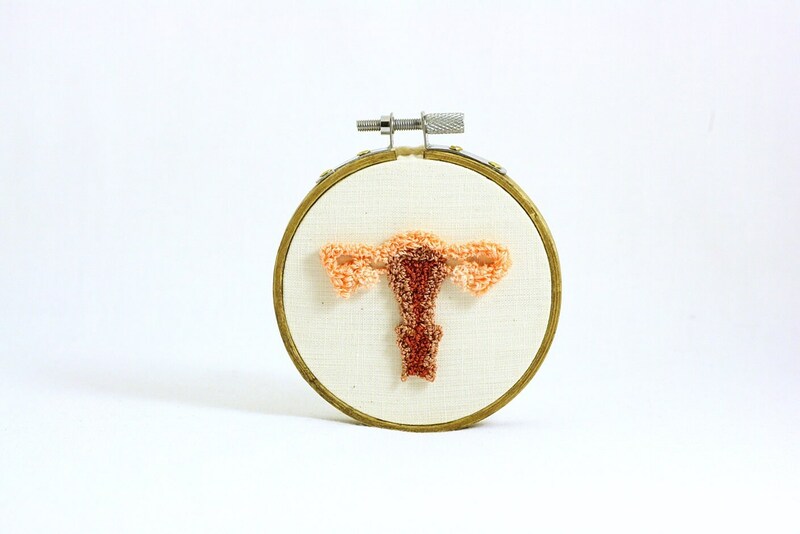 I created this uterus using punchneedle embroidery, which is akin to an ancient rug hooking technique on a smaller scale. I drew up the uterus on weaver's cloth and used my adjustable needle to create the realistic dimensional effect. Hand dyed floss is also used in this design for depth. This item arrives in pretty eco-friendly packaging all set for gift giving. Give from the heart! 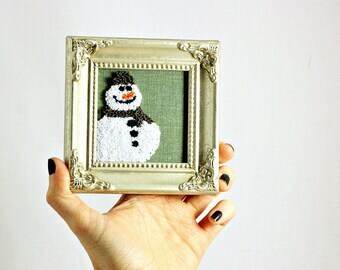 Some elements may vary slightly depending upon availability of products needed to create the art (the frame will be the same frame as pictured, however.). Each one is hand drawn (no pattern) so please allow for subtle differences. I endeavor to stick as closely to original as possible but sometimes thread shades will vary slightly - as most are hand dyed, shades may vary slightly from the original pictured depending on your computer screen and dye lot. Because each is made especially for you, each one will be slightly different - making this truly a one of a kind piece of art you will treasure. New Baby Personalized Initial, Custom Monogram Name Letter. 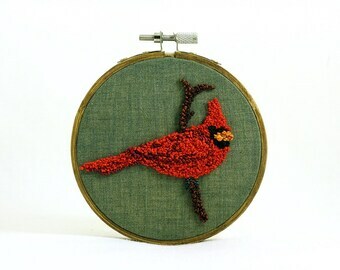 Punchneedle Embroidery Hoop Wall Decor. Baby's Nursery. Pink and White. Personalized Custom Initial Monogram Letter for Him. 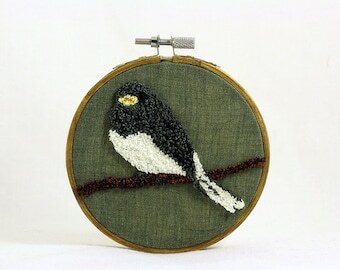 Punchneedle Embroidery Hoop Decor. For New Baby, Dad. Blue and White. 3D Candy Corn Halloween Tree Ornament. 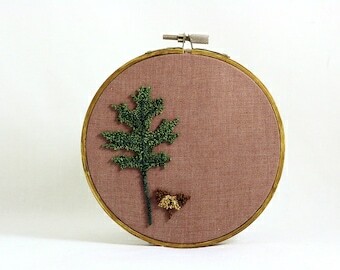 Punchneedle. Food Art. Yellow, Orange. Christmas Ornament.